When your foundation is showing signs of bowing, buckling walls or any other foundation issues, we at DBS are the contractors you're looking for. As a locally owned and operated foundation repair company, we've been working with soils in your neighborhood since we first opened our doors for business. 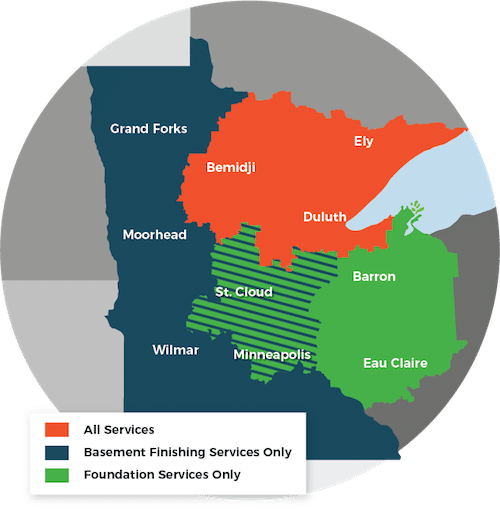 We're proud to serve Superior, Duluth, Minneapolis, surrounding areas such as Hermantown, Two Harbors, Cloquet, Esko, Virginia, Ashland, St. Paul, and many nearby locales in MN and WI.